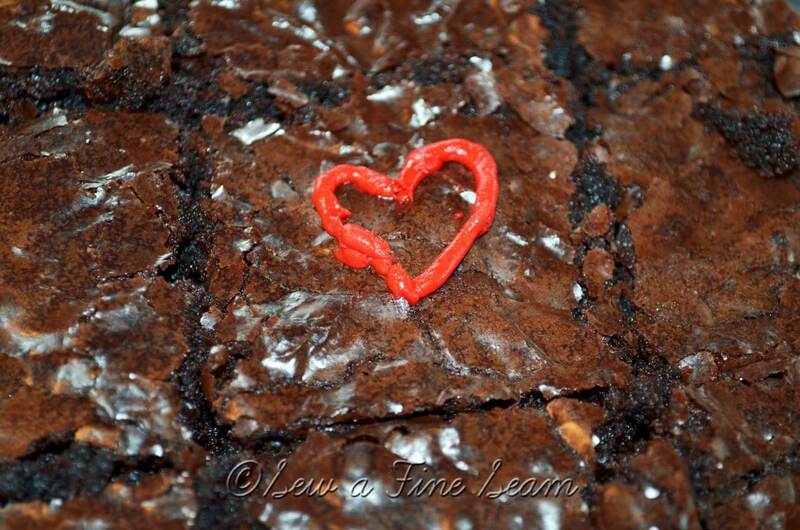 A simple way to bring some Valentine’s cheer is to add some icing hearts to a batch of brownies. Last year in February we had some icing left over from another cake and my daughter wanted to put some hearts on the brownies. Simple, quick, and fun! 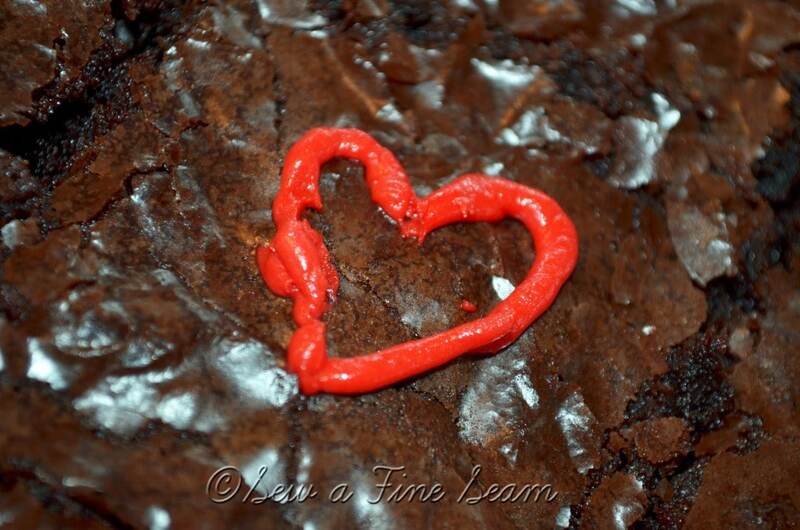 The brownies are from a box and the icing was from a can – with a bit of food coloring added. I hope you had a happy Valentine crafting weekend as well. We had a good weekend but didn’t end up doing a lot of crafting. The girls have done some and had fun doing it! how involved does that clever young mini snowman building young lady get in the Valentine crafts. Those little things and your explanation of how she played with them and moved them about was so delightful to read. How clever and definitely a budding young DIYer. While purging and making messes I found some Valentine stuff I made last year or so. I’m not letting myself make new things til I get messes in front hallway cleaned up from giving craft room big purge and reorganization. Not that it needed it or anything. If I don’t get it done before Valentines then I don’t. Will just use little bit of what I have. I kinda hate to put my snow people and little trees in jars with snows and pine cones away. They’re in a long bread basket on my shutter shelf with old window behind it. Do the girls like to make crafts for Valentines? Do you have art classes for them as home schooling? Hmmmm, the brownies look so good, makes my mouth water. Happy days, don’t work too hard ok? Have fun JaneEllen! Crafting is always fun! Those look great! I love to craft and bake this time of year! Thanks Debbie! Your crafts are always so cute!